ASYMMETRIC TREAD PATTERN: Optimized performance of the contact patch for a predictable luxury ride. TRI-NET SILICA TREAD COMPOUND: Provides improved traction in dry, rainy and winter driving conditions. 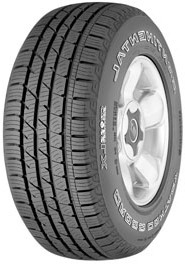 Long tread life with lower rolling resistance for increased fuel economy. ACOUSTIC ALTERRA TECHNOLOGY: Creates a luxury tire with a tread pattern that minimizes noise and provides a comfortable ride. PROGRESSIVE INTERLOCKING SIPES: Interlocks the tread blocks for excellent traction and directional control in all conditions.